Catalog Page 22. Custom 8" and 12" Leslie Bears. 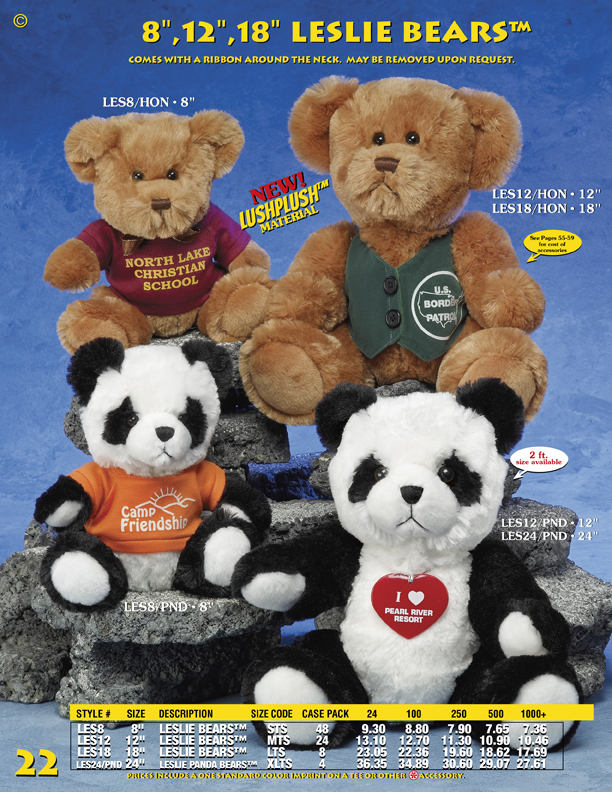 Custom Teddy Bears and Pandas.